The Sine Lights consist simply out of flexible strips. However, by fixing it to the wall or ceiling at certain distances, a natural sine curve appears. 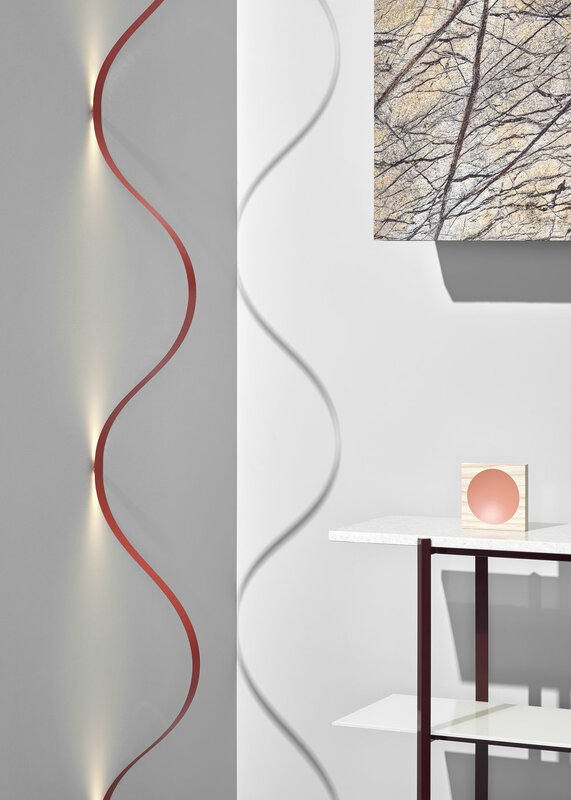 The LED lighting on the back gives of a pleasant indirect light, while the curved strip results in an intriguing wave form of light on the wall or ceiling. Due to their flexibility they can always be installed from floor to ceiling or wall to wall.